Q – We are hoping to take our first river cruise vacation, in fact our first cruise of any kind, next July. I am really excited as we’ve only been to Europe once and my husband hates the idea of a huge cruise ship. He also hates dressing up – he’s a tee-shirt and jeans kind of guy. He’s told me “you find a river cruise where all I have to bring is two pairs of jeans and some tee-shirts and I’m in.” I’ve been searching the web sites, including yours, but I’m still not sure which line will allow him to dress the way he wants to. A – We think you will need to delay your vacation until your husband matures a bit. 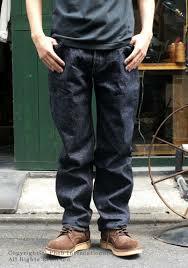 While jeans and a tee-shirt can be stylish on some men, it is always inappropriate for dinner and evenings out in Europe and most of the world. It would be offensive to dress that casually on any river boat as it shows a lack of respect for others who look forward to dressing up a bit in the evening. Perhaps you should do this trip with a girl friend. We really want to be helpful but there is no river boat product on Europe’s rivers where your husband would fit in unless it was on one of the sewage barges.